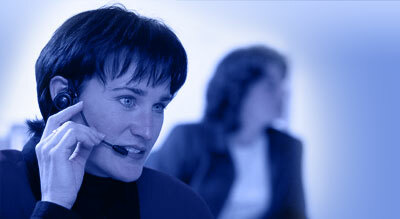 LanSource is the leader in quality communications network installation and service. Whether you run a large data center or a small business, LanSource's team of communications experts will help ensure that the foundations of your communications infrastructure meets the critical demands of your business applications. Fiber Optic Cable, including fusion splicing of live fiber in emergency situations. Other low voltage cable including: Category 1, IBM Types 1, 2, 6, DEC, Thicknet, Coax (ethernet), Twinax, Low Cap, RG-6, and RG-11. Some of LanSource's larger customers include hospitals, colleges and data centers. These companies trust LanSource to deliver high quality parts, installed with attention to detail, tested to exacting standards, and certified to deliver peak performance for their mission critical applications. LanSource brings that same quality of service to each and every installation. As a result, local small businesses can count on the same quality of installation and service as a world class data center. Members of the LanSource team have performed numerous installations in virtually all types of building structures and terrain conditions. In addition to structured premise wiring, LanSource performs outside plant work consisting of aerial, burial, and conduit systems. Comprehensive maintenance to ensure the ongoing success of your network - minimizing or eliminating downtime. Professional, courteous, and knowledgeable technical installation teams. Dedicated adherence to all project specifications and schedules. Forthright, up-front, and honest quotes cemented with a handshake. Clean and efficient work habits. Follow-Up to ensure that everything was done to your amazement, not just to your satisfaction. LanSource installations adhere to the industry standards set out by TIA-EIA 568B council; including length, termination, testing, certification, and documentation procedures. Every LanSource project has a general working manager that will be able to field most any question relating to that particular installation. The project manager will be highly experienced in all aspects of communications cabling, with no less than 2 years on-site management history. LanSource technicians maintain their expertise through an extensive, continuous education process that includes in-house demonstrations, classroom training, troubleshooting comprehension tests, and on-site experience. Topics such as premise wiring topologies, pin-outs, data transmission speeds, and environment variables are reviewed on a continuing basis. In short, LanSource endeavors to employ only the best and brightest technicians and support them with extensive training, exacting standards and high quality materials in order to meet the demands of the rapidly changing communications industry. is proud to be a Certified Systems Vendor (CSV) of BELDEN/CDT Structured Cabling Systems. This certification enables LanSource to provide 1.2, 2.4, 4.8, and 10 gigabit-networking solutions with a Twenty-five (25) year Warranty on parts and labor and a Lifetime Performance Guarantee on all BELDEN/CDT Certified Systems.